Gaumukh Temple is considered one of the sacred places in Mount Abu. It is regarded as one of the most sacred places of worship for the Hindus. Location : Gaumukh Temple is located atop a hill and just about 6 Kms. from Mount Abu Bus stand. Gaumukh Temple is one of the famous tourist attraction of Mount Abu. This temple is popular for religious pilgrimages and meditation. To reach the topmost part of the temple, you need to climb 700 steps. People believed that Saint Vashishth performed a yagna and created the four major Rajput clans. Some believed that Sage Vashishtha lived here with his wife and Devas gifted him a wish fulfilling cow. Rishi Vashishth is credited to have brought Nandi Vardhan Mountain, the youngest son of Himalayas, to Mount Abu. 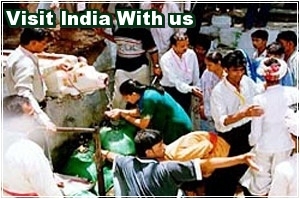 The literal meaning of the Gaumukh Temple is `the mouth of the cow` (Gau means cow and `mukh` is mouth). In this temple you see a tank that is known as the Agni Kund in which hawan (sacrificial burn) was done by Saint Vasishtha to create Rajput clans. This temple is built by cutting it out from a huge rock. The amazing location of the temple is also attracts a large number of tourists. Due to its religious significance of the temple mainly attracts the devotees. 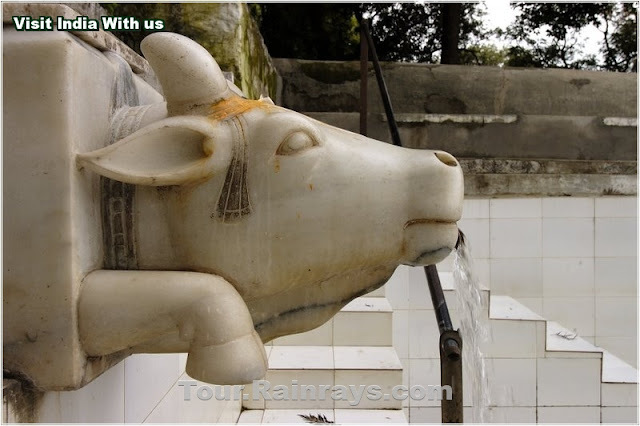 The statue of Nandi, Lord Rama and Lord Krishna is main attraction of this temple. Here you see the statue of Saint Vasishtha along with Lord Rama and Krishna. The beautiful location of the temple is also used by a number of tourists as a picnic spot. The Things are not Allowed : Here Leather clothing, shoes and other leather articles are not allowed and is kept at the entrance of temple. Gaumukh temple is surrounded by thick forests so in rainy season or in dark, it is not recommended to visit this temple.